Well, 2018 is here and that means I've set a new Reading Challenge over at Goodreads. 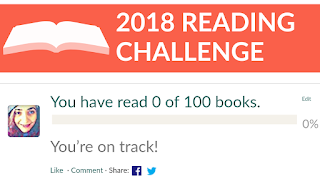 Like usual, I've set myself the goal of reading 100 books. This total will include novels, novellas, short stories, comic books, poems, etc. I also like to give myself a few Mini Reading Challenges. That can be as simple as making sure I balance my reading with a variety of books: bookshelves, review books, Kindle, Kobo, tablet, and library books. Or as detailed as going through my unfinished trilogy and series books, and making sure I catch up/complete these trilogies/duology/series. I'm also determined to not waste time with books that just don't grab me, and plan to keep unapologetically DNFing. I have to admit that I absolutely hate DNFing books. 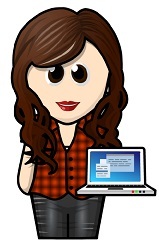 I feel bad, guilty, awful... because being a writer myself, I know how much hard work goes into a book. BUT, I have way too many books to waste time on boring stories, or ones that I don't find appealing. Anyway, you can keep up with my progress on My Reading Page, or at Goodreads. So, how many books do you plan to read this year? Here's to another awesome year of reading!